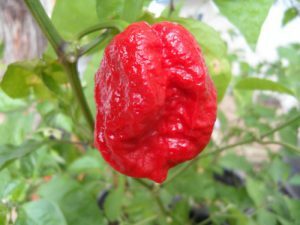 This is a variety that was developed using selective breeding by saving pods from plants that would produce the desired traits. 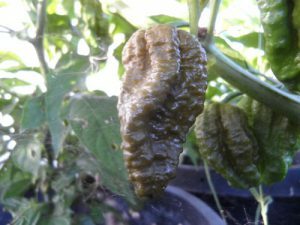 Not a Hybrid as a Hybrid is crossing varieties. 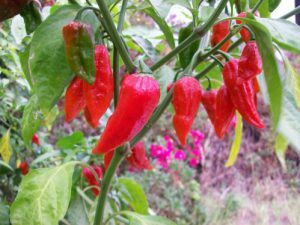 Over 5 years ago (2010) David Capiello a well known grower and chile hobbyist from North Carolina obtained 7 Pot seeds from another grower in Trinidad known as Sara. 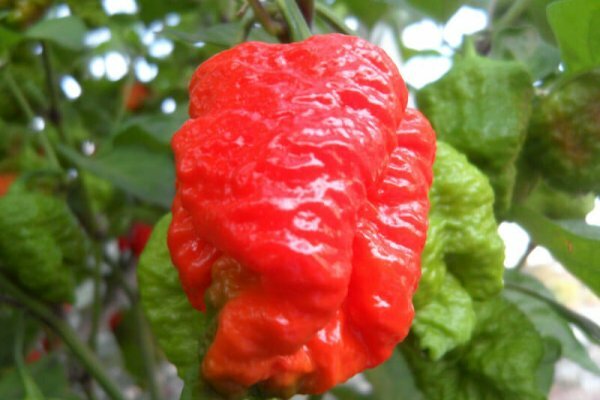 Sara is responsible for getting many Trinidad varieties spread all over the world. 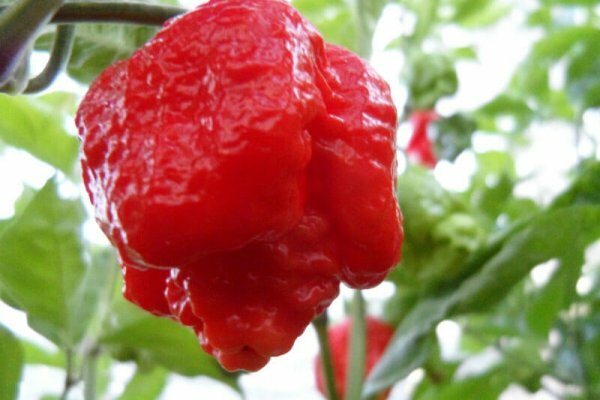 David selected pods with the desired traits that Moruga Scorpions have. 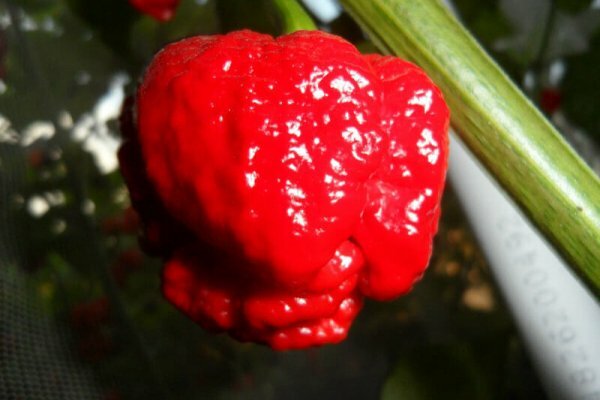 Which is a lumpy grainy texture like the human brain. 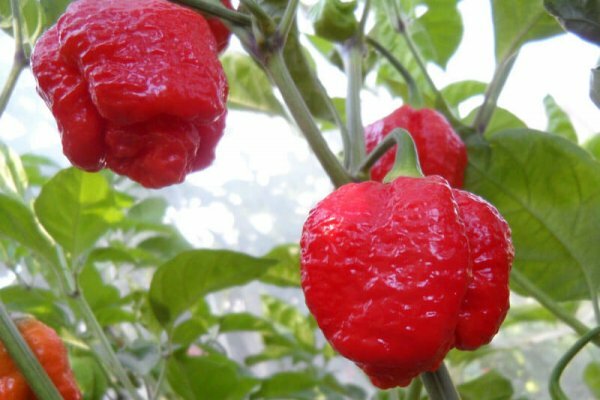 He named these Brain Strain. 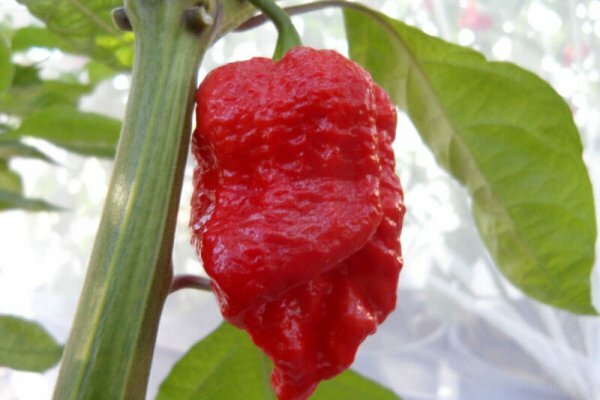 Growers all over the world say this is the hottest of the red 7 Pot strain chile plants. 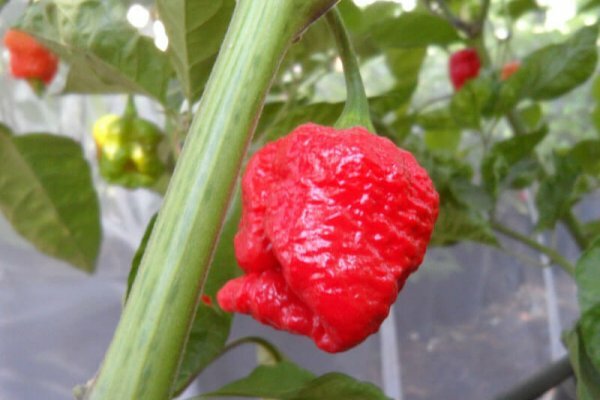 It is a very productive chile plant and has a fruity flavor like other 7 pots. 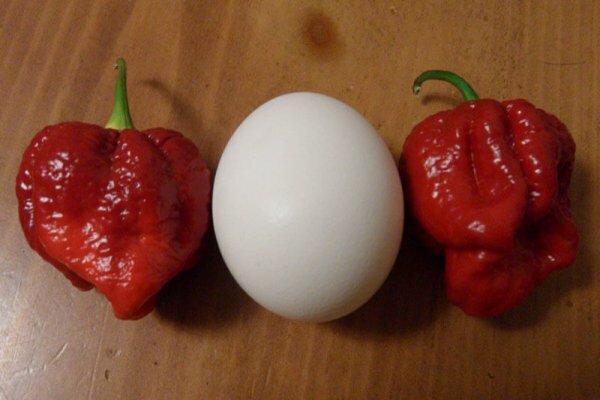 David also makes a limited amount of sauce that people rave about. 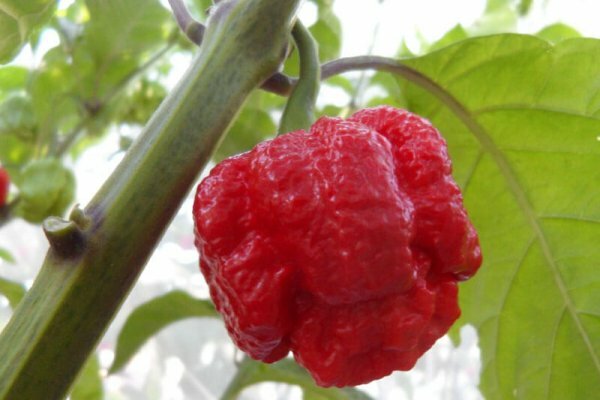 So be sure to look him up and buy some. 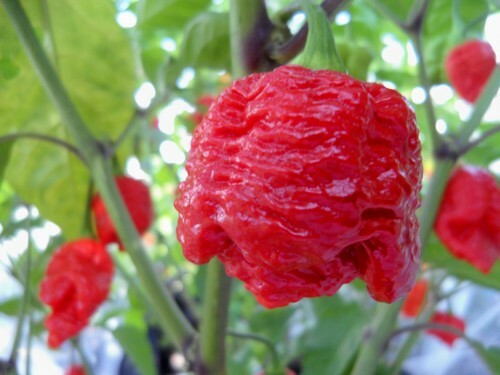 7 Pot Brain Strain Chile plants grow between 3-4 feet tall and fruits ripen from green to red. 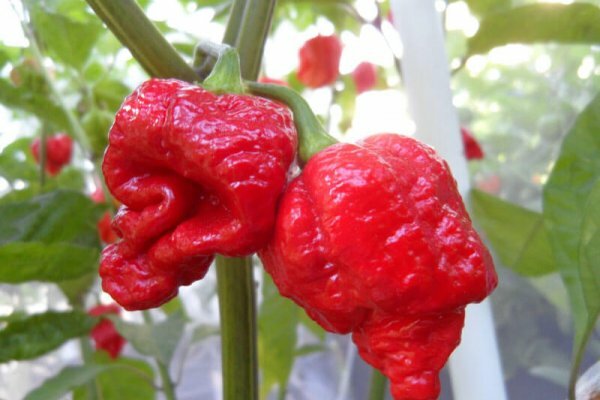 We have our own phenotype that we grew out of seeds from our friend Grant in Australia. 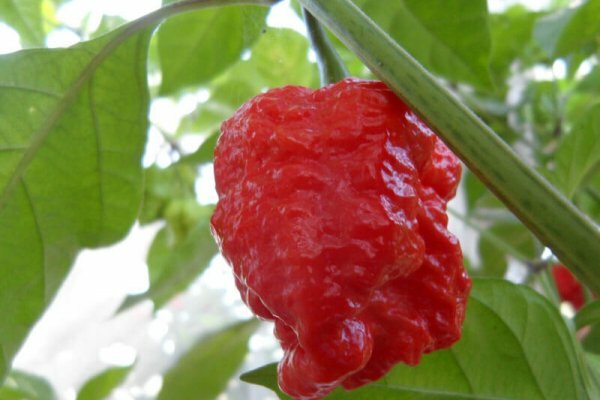 Much larger pods with thicker skin and a deeper red color. 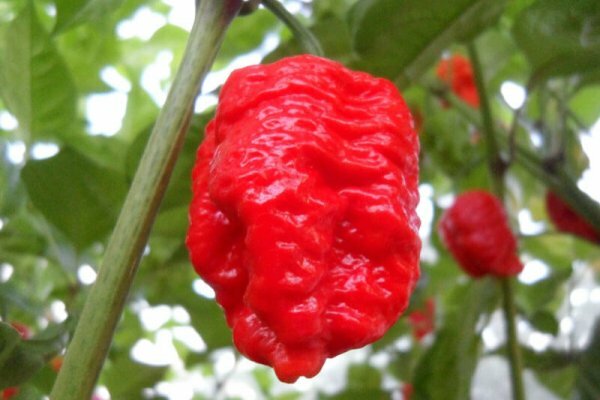 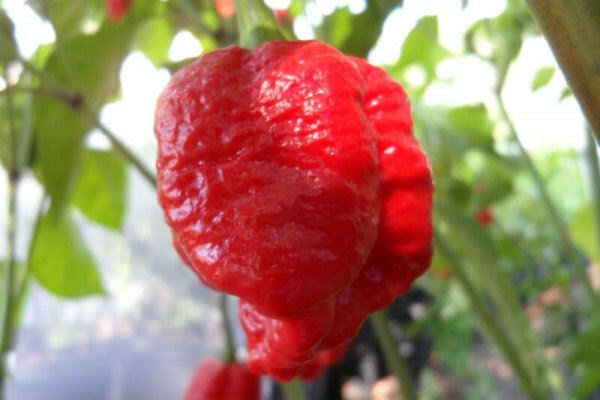 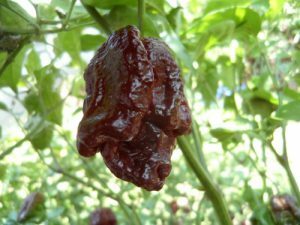 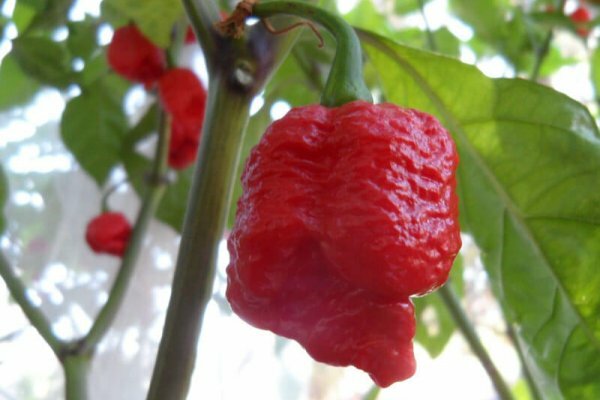 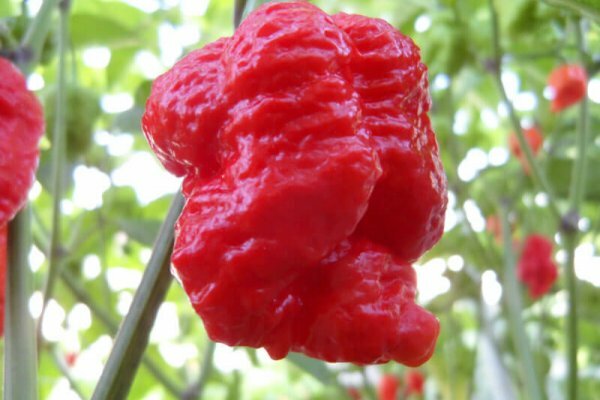 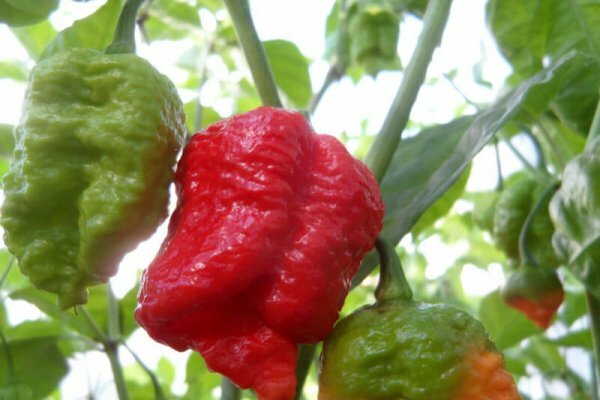 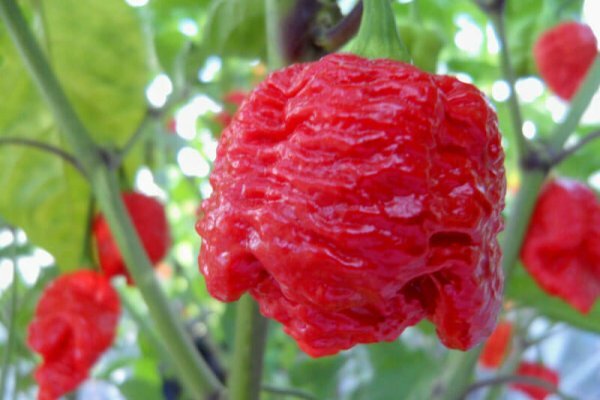 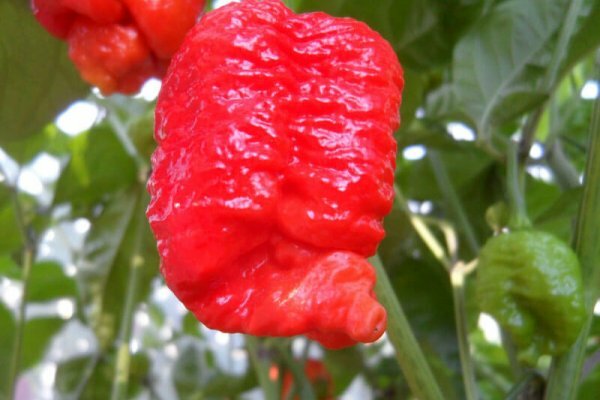 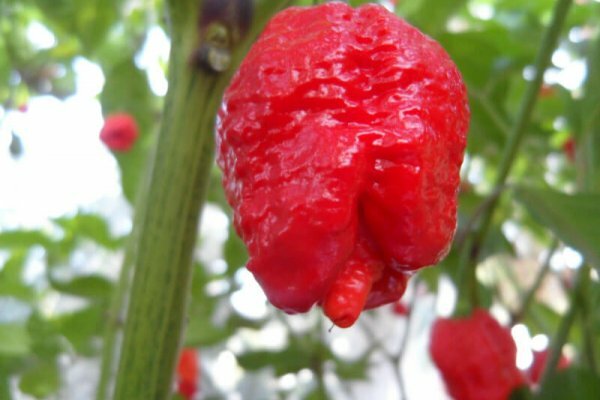 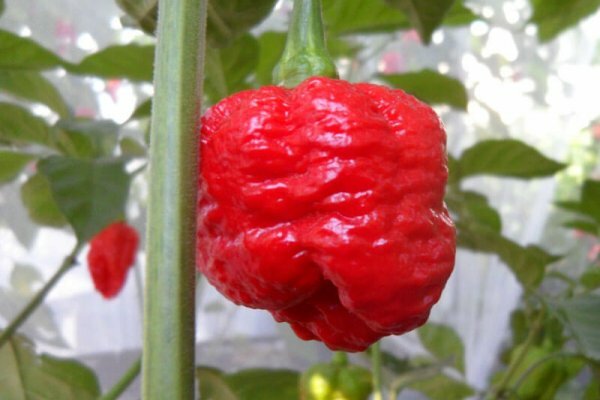 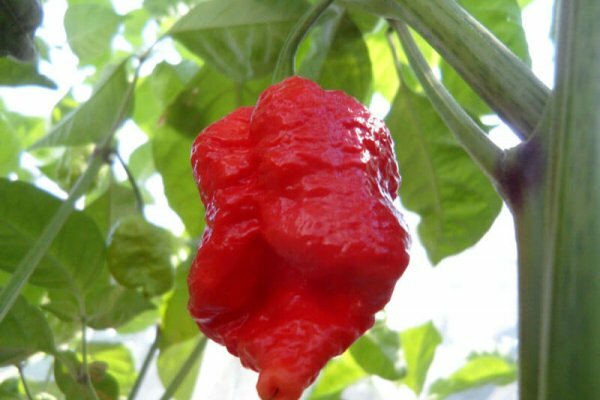 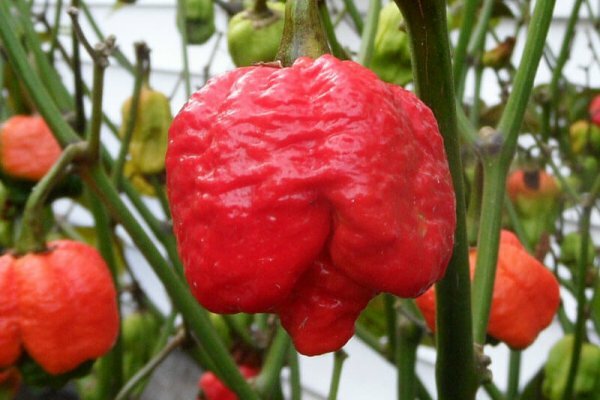 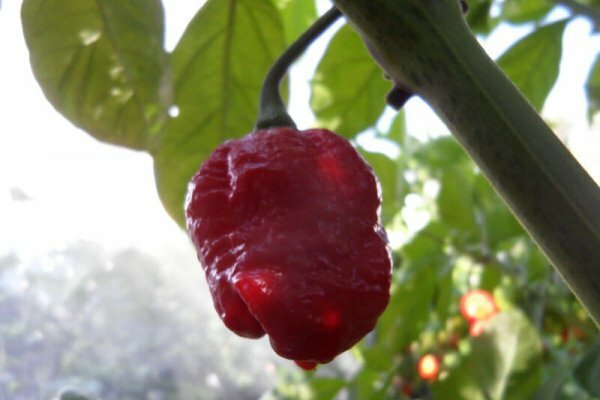 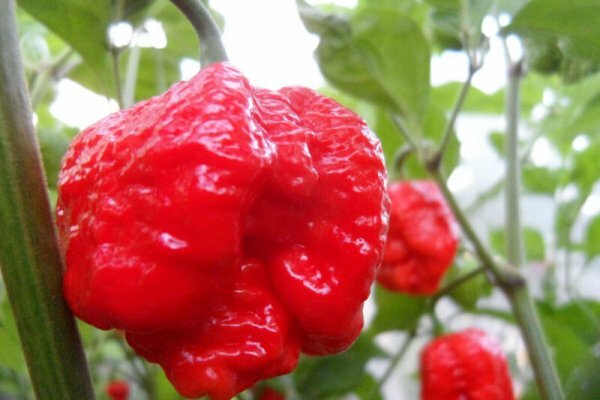 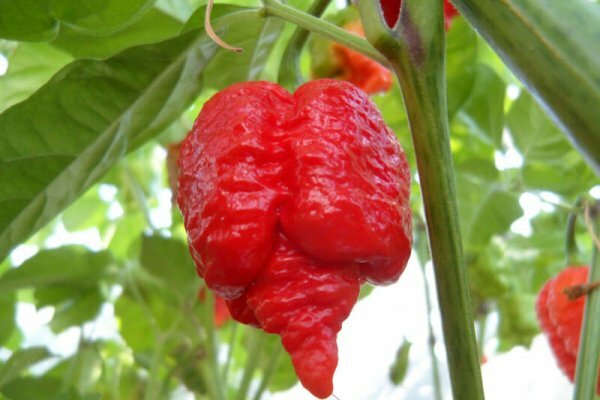 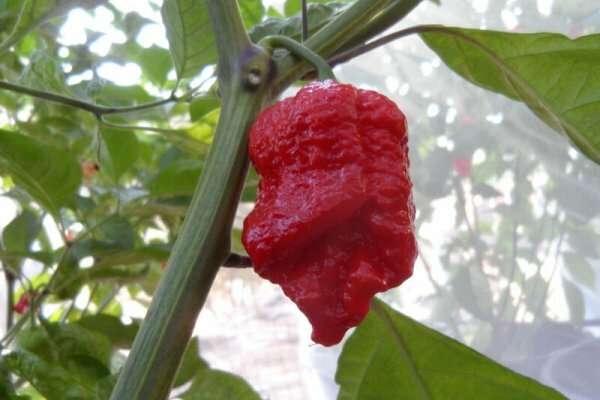 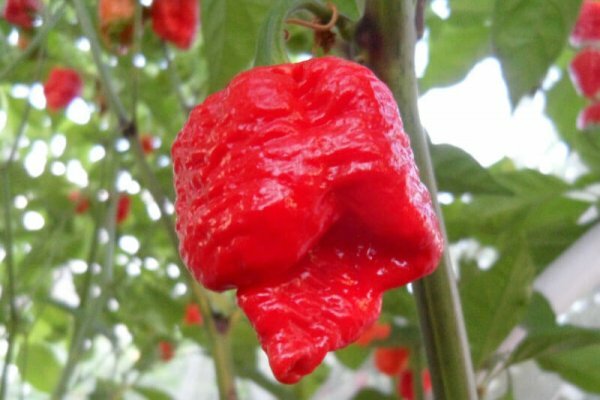 After 3 years of growing we have concluded that it is a different pepper than Moruga Scorpion which was introduced by Christopher Philips a few years previous to Brain Strain.